We are New Zealand's Only Turtle Specialists! 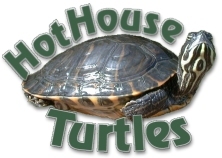 STOCKIST OF HOT HOUSE TURTLES PRODUCTS. SCROLL DOWN THE FOLLOWING REGIONS TO FIND A PET SHOP NEAREST YOU. Far North Vets, Kaitaia. Animates, Whangarei. Whangarei Pet & Aquarium, Whangarei. Kamo Pets, Whangarei. Barkleys Pets, Whangarei. Animates, Silverdale. Quality Bird Supplies, Silverdale. Hollywood Fish Farms, Albany. Animates, Abany. Animates, Glenfield. Pet Stop, New Market. Animates, Westgate. The Bird Barn & Watergardens, Henderson. Animates, Henderson. Animates, St Lukes. Pet Stop, Mt Eden. Hollywood Fish Farms, Mt Roskill. Animates, Mt Eden. Animates, Grey Lynn. Pet.Kiwi, Grey Lynn. Animates, New Lynn. Pet Stop, Onehunga. Animates, Glen Innes. Animates, Mt Wellington. Animates, Sylvia Park. Pet Stop, Botany Downs. Animates, Botany Downs. Animates, Manukau City. Animates, Takanini. Animates, Pukekohe. Eastland Aquariums, Gisbourne. Animates, Gisborne. Animates, Napier. Pet Essentials, Napier. CareVets 'N' Pets, Napier. Happy Animalz, Taradale. Animates, Hastings. Pet Essentials, Hastings. Tararua Veterinary Services, Dannevirke. Wet Pets & Country Pets, Palmerston North. Animates, Palmerston North. Pet Essentials, Palmerston North. Masterton Pets Shop, Masterton. Animates, Masterton. Animates, Whanganui. Pet Essentials Whanganui. Animates, New Plymouth. Pet Essentials, New Plymouth. B-Zone Aquarium Supplies, Waitara. The Pet Shop, Levin. Animates, Nelson. Animates, Blenheim. Roselands Pets & Plants, Blenheim. Greymouth Nurseries, Greymouth. Animates Tower Junction, Christchurch. Animates Papanui, Christchurch. Animates Linwood, Christchurch. Pet Central, Moorhouse, Christchurch. Pet Central, Hornby, Christchurch. PETstock, Northwood. Pet & Garden Supplies, Christchurch. Pet Central, Shirley, Christchurch. The Feed Shack, Bishopdale, Christchurch. Redwood Aquatics, Harewood. Flying Fish Pet Supplies, Kaiapoi. Animates Rangiora. PetPlus, Rangiora. The Feed Shack & Brew Shack, Rangiora. PetZone, Ashburton. Pet Central, Timaru. For Pets Sake, Timaru. Animates, Dunedin. Nichol's Pet Warehouse, Dunedin. Animal Attraction, Dunedin. Nichol's Pet Warehouse, Cromwell. East Road Pets, Invercargill. Animates, Invercargill. Nichol's Pet Warehouse, Invercargill. Petsmart, Invercargill.